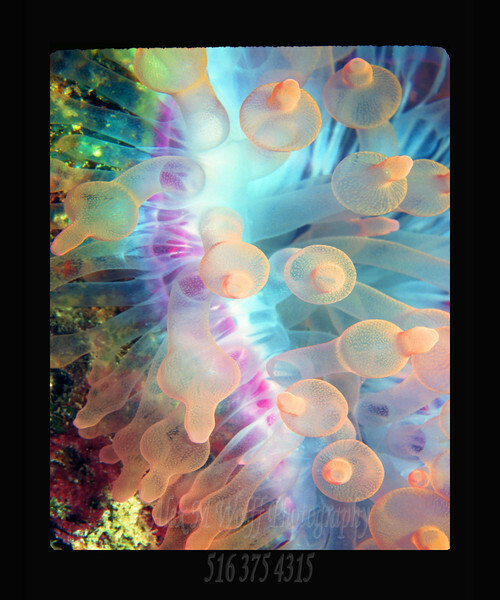 Mammary Anemone was taken with a Nikonos in the Maldives with 2 extension tubes in place and a white reflector underneath. COOL! Terrific colors and great dof!